The Cros-Parentoux vineyard parcel is ideally located – an enclave at the top of Richebourg. 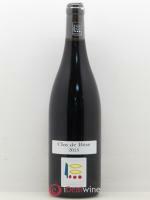 Its neighbour is none other than Domaine de la Romanée-Conti. 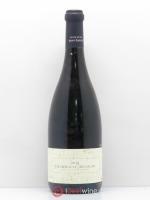 Le Cros Parantoux is considered one of the best Burgundy wines ever produced. Sophisticated, aromatic and endowed with incredible richness, this ultra-rare cru is one of the greatest wines in the world. Henri Jayer has been one of the greatest names of the Burgundy vineyard. Born in 1922, he was only 17 when the Second World War began. Too young to be called up like his two brothers, he had to help his father with the domaine. His studies were over but spotted by René Engel, he participated in the first enology training given at the faculty of Beaune. At a time when wine growers worked only by experience, he was one of the first to understand and perfectly master vinification. After the War, the eldest of the family took over the family land, the second did a course in forestry, and Henri, once again helped by René Engel, obtained some rented farming land in Vosne (including Richebourg). In 1950, he noticed with surprise that he was the only one who wanted to acquire an uncultivated plot of land: Le Cros Parantoux. He demolished the source rock and worked on the land for over ten years. It is this plot of land which gave him the name the "Master of Pinot Noir" (coined by Robert Parker). He would only put “something edible” into the vats. The grapes are thus always destemmed. We also owe the invention of cold pre-fermentation maceration to him which gives Pinot its colour and aromas. He was one of the first to warn wine growers about the use of pesticides in vineyards. 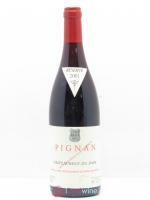 From 1989, he gradually handed over to his nephew Emmanuel Rouget. He passed on his knowledge and his ability to extract the best from the Pinot. He passed away in 2006, leaving Burgundy with a formidable legacy thanks to his numerous pupils: Jean-Nicolas Méo, Christophe Roumier, Dominique Lafon, and Denis Mortet to name but a few. In Burgundy, people still miss "the professor" or "the engineer" (due to his self-confidence which left nobody indifferent). 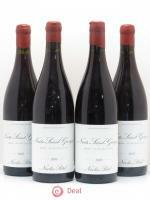 The last remaining bottles of Henry Jayer are now sought after all over the world.